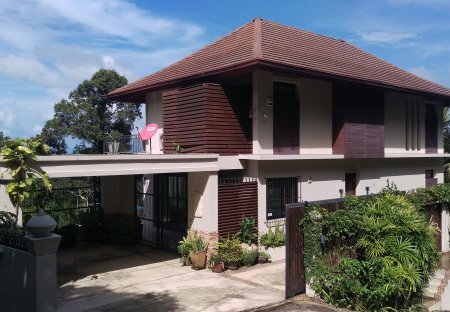 Rent villas in Maenam, Koh Samui with private pools. Book affordable holiday rentals that are near a beach and golf course. Nestled on the beach-front of the northern coast of the Thai island Koh Samui, Villa Naowarat is a unique four-bedroom villa with full air-conditioning and Wi-Fi, and a whole host of fabulous staff. 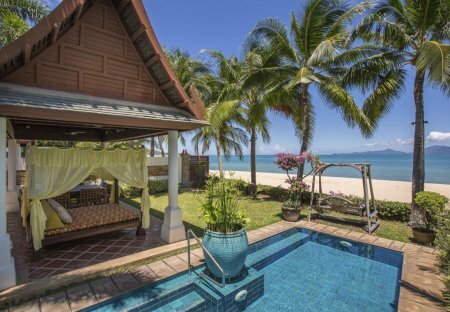 This luxurious four-bedroom villa on the Thai island of Koh Samui offers a little something for everyone – from the huge private pool to a prime beach-front location.